This past weekend was the annual Cayucos Sea Glass Festival, a fun weekend on the Central Coast –full of beach glass jewelry, music, wine, and mermaids! 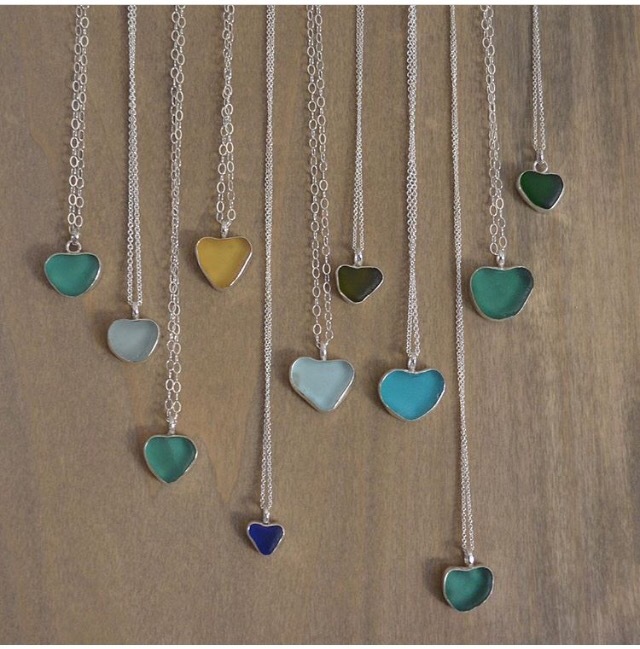 The jewelers and artisans of the juried sea glass portion of the show are the main event, with a dizzying array of jewelry, exclusively featuring beach glass. There were unfortunately no photos allowed in the art tent; however, I did ask to feature a couple of artists, whose pieces especially caught my eye. There was just so much incredible work to see, luckily most have Etsy stores as well. Kate’s background in graphic design is evident, with clean lines and beautifully structured pieces. Her booth was busy and I had to run, but I’ll be putting my own Etsy order in! Check out some of her rings as well, and if you DO buy anything lovely, tell her BoozyLife sent you! 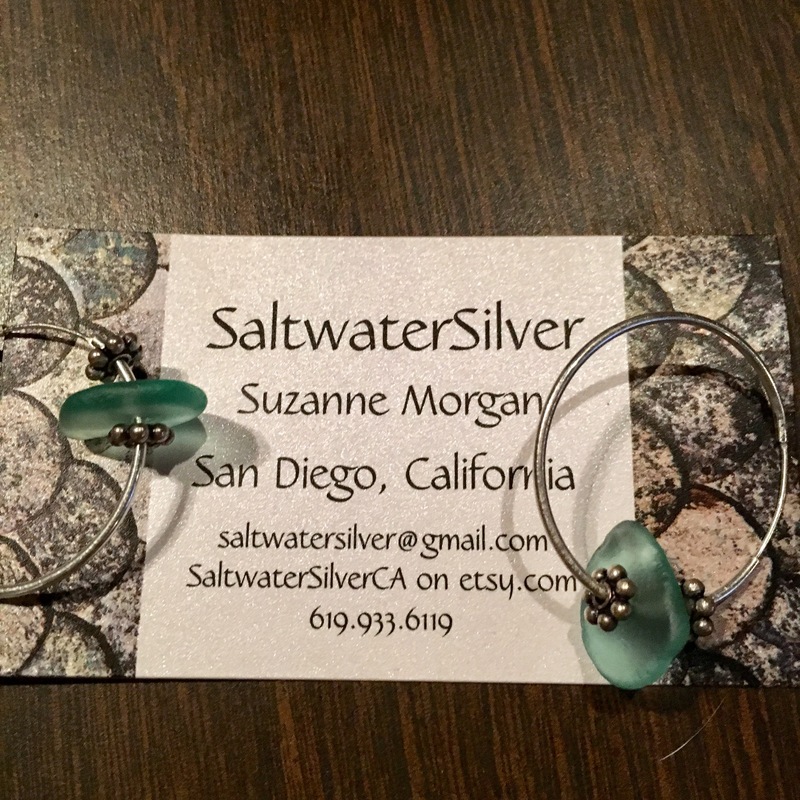 Suzanne Morgan is the artisan behind Saltwater Silver (SaltwaterSilver on Etsy is on a short break, but you can reach Suzanne through email or be alerted when she’s back), also from San Diego, CA. I finally ended up buying a pair of her simply styled silver hoops, threaded with silver beads and a lovely piece of pale green blue colored beach glass. She also makes incredible, mermaid scale-like necklaces that held several pieces of beach glass that I wish I could have taken pictures of. Stunning! I love promoting local artists work, especially from our new coastal location–be it tattoo art, or something that I enjoy and want to share with all of you! 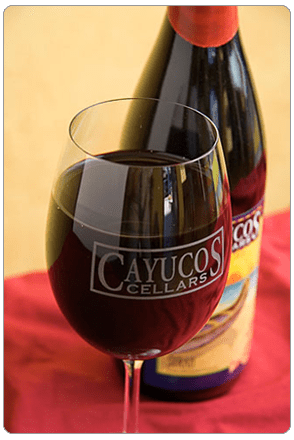 Cayucos Cellars was pouring tastings of some of their wines as well, so of course I had to swing by! They are a very local, all family run and operated affair that has been making their wines since the 1980’s–and have continued in the same fashion to today. I especially liked the 2012 Petit Sirah, an earthy red with lovely deep color, and the fruity, light, easy drinking Zinfandel Rosé. Small batch, family vineyard wines, right here on the Central Coast. Have a look at their website for operating hours at their new tasting room, and more info on their wine club.